Are you ready to lose the cape and start performing? Ditch your superheroes and have a super business instead! Many businesses operate in a state of chaos – people running around, working hard, just to achieve a mediocre level of performance. When crisis situations arise we are often lucky enough to have a ‘super hero’ work for us that can help us to get out of our impending disaster. We celebrate these people for their ability to pull us out of the sticky stuff… but what if this was a problem that was really disguised? What if our heroes could put away their capes, re-direct their efforts and help transform the fortunes of the business? What if we only wore our capes when the business was facing a real issue, and not one that was created through management failure? There is a way out of this situation, and we can kindly retire our superheroes so that a more effective and more efficient way of working can come through. Our days don’t have to be ‘full pelt’ trying to stay still, we can think our way out of this situation and Losing the Cape shares a range of strategies to help you do this in your business. The ideas contained in this book are based on practical, real world, business transformation projects. They don’t apply to just one type of business – the ideas are universal, so whether you work in a government department, a professional services business, or for a manufacturer, these ideas can work for your business. There is no magic in this book, only practical management ideas that have been proven out in the real world. The author, Giles Johnston, works with businesses of all different sizes, in all different sectors, that are trying to achieve the same basic objectives. They want happier customers, better profits, easier working lives and a feeling of control back in their businesses. The methods outlined in Losing the Cape are designed to do just that. 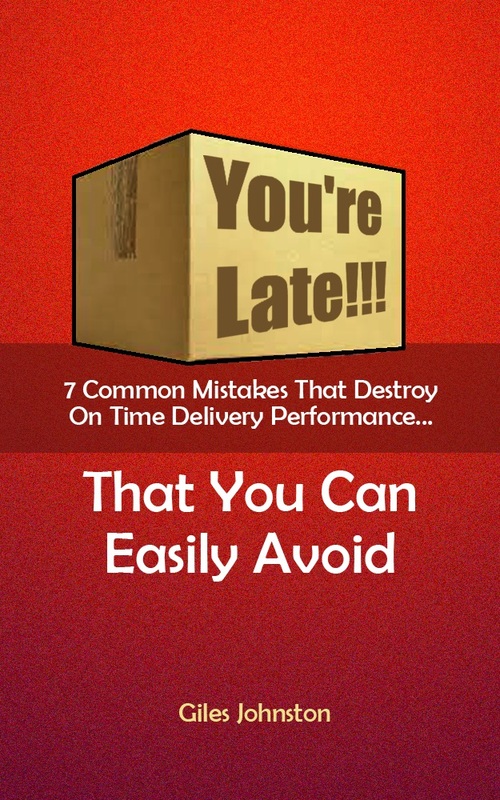 Part one of the book gets you to look at how your business is fundamentally operating. 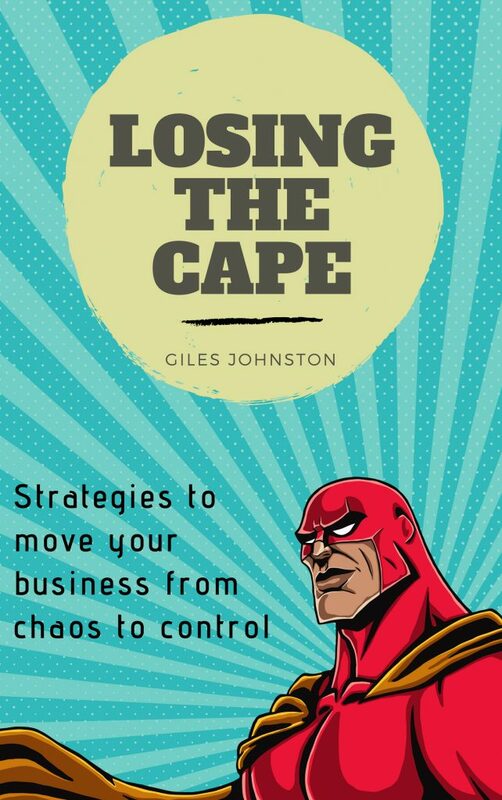 Part two takes you through a series of strategies and methods that you can apply to your business as you move away from a reliance on superhero cape wearing and into a more controlled process driven way of working. You don’t need to crush creativity out of your business on the way to higher levels of control, but there are some things that you can do in order to get the best of both worlds. To help you apply the ideas even faster into your business a number of downloads accompany the book. Tailoring and using these worksheets and templates can help you move quickly from where you are today, to where you need to be. Enjoy losing the cape from your business.